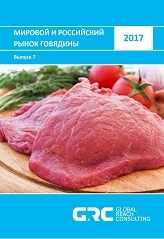 Russian and World Beef Market Research Report, produced by GLOBAL REACH CONSULTING, covers one of the most important segment of the meat market - beef market. 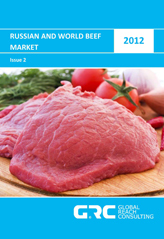 World Beef Market Forecast for 2012. Cattle production for slaughter by farm type. Other beef edible offal, frozen. 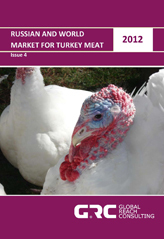 Contract purchasing prices for imported beef. 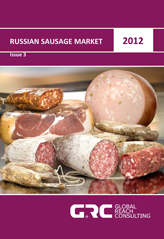 Geographical Distribution of World Exports of Beef, Frozen, 2010 г., тонн. Geographical Distribution of Fresh or Chilled Beef Imports, 2010, tons. Geographical Distribution of Frozen Beef Imports, 2010, tons. Geographical Distribution of Beef Imports, Value, 2010, % of $1,000. World Beef Imports Dynamics by Country, Value, 2006-2010, $1,000. 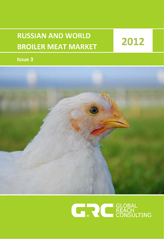 Dynamics of Cattle Production and Mortality in Russia, 2009-2011.